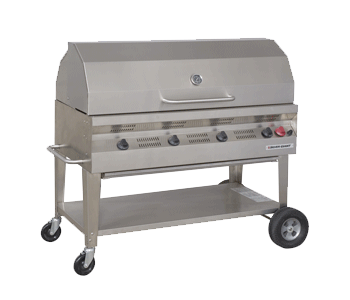 Perfect for fund-raising events, rental houses and service clubs, the SGC-48 provides ample cooking space for demanding high traffic cook-outs. The SGC-48 can also be fitted with an optional stainless steel rotisserie kit, making the Silver Giant a more versatile piece of food preparation equipment. Now you know why this Silver Giant has been called the "Crowd Pleaser".